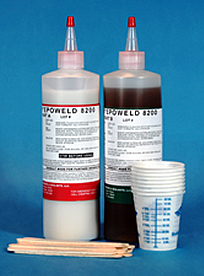 Epoweld 8173 was developed in the late 1960’s to exceed the performance of other 5 minute setting adhesives. 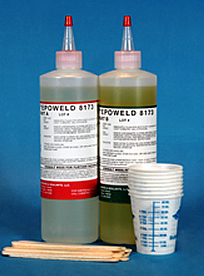 Unlike other systems, Epoweld 8173 is formulated with several epoxy resins to achieve a “through cure” to enhance that combination of shear strength, peel strength, pull out strength, torque resistance and a degree of flexibility that is required in high technology adhesives. 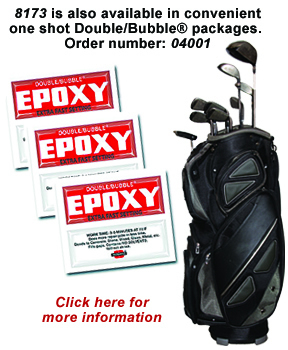 To compare Epoweld 8173 with any other 5 minute setting adhesive, mix a small sample of each epoxy and separately spread them on thin pieces of cardboard. Allow them to set overnight and then bend the cardboard. 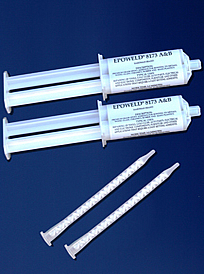 You will notice how much tougher the Epoweld 8173 sample feels as well as how much less brittle it is. Kits include Yorker Top bottles of 8173 A & B (in 8oz., 16oz. or 32oz. kits). 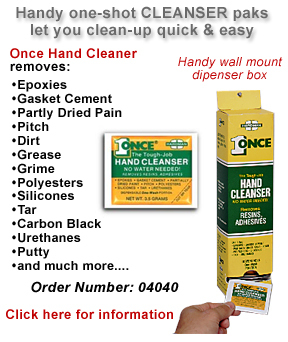 Packages of mixing spatulas and graduated mixing cups sold separately. 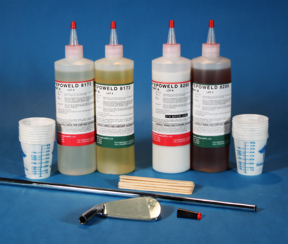 Epoweld 8200 was formulated in the late 1960’s to give the user the versatility to use one adhesive for many different jobs. 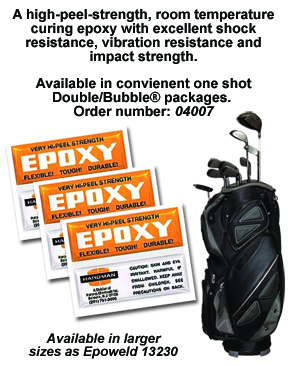 Prior to the development of graphite shafts for golf clubs, polycarbonate resins were used as inserts in wood drivers and fairway woods. Since that time, manufacturers have found that, when using Epoweld 8200 as the overnight cure epoxy, exceptional shear strength, peel strength, pull out strength and torque resistance are achieved when bonding all components whether steel, wood, graphite or composite materials. Kits include Yorker Top bottles of 8200 A & B (in 8oz., 16oz. or 32oz. kits). 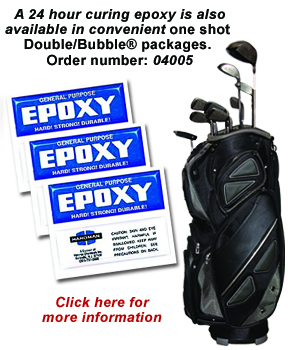 Typical Uses: Bonding, assembly, manufacturing, maintenance and repair of golf clubs, carts and other equipment. 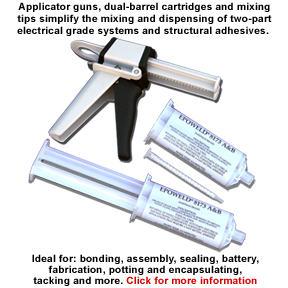 Typical Uses: Our applicator guns and cartridges simplify the mixing and dispensing of two-part electrical grade systems and structural adhesives. 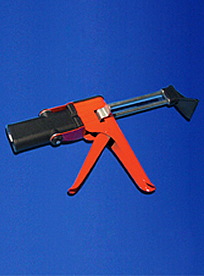 They’re ideal for bonding, assembly, sealing, battery, fabrication, potting and encapsulating, tacking and more.